A couple of weeks ago my fabulous hair stylist invited me to be her hair model for the Christmas Open House at her salon. I was quite honored, because she has many clients who could model her talents (including other clients who also have uniquely-colored hair). 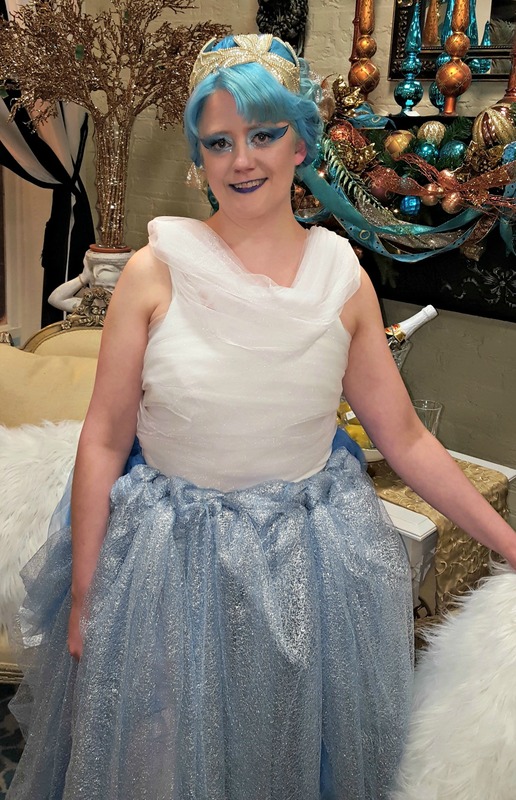 Her vision for the event was to go with a snow queen theme, and so I was dressed accordingly. 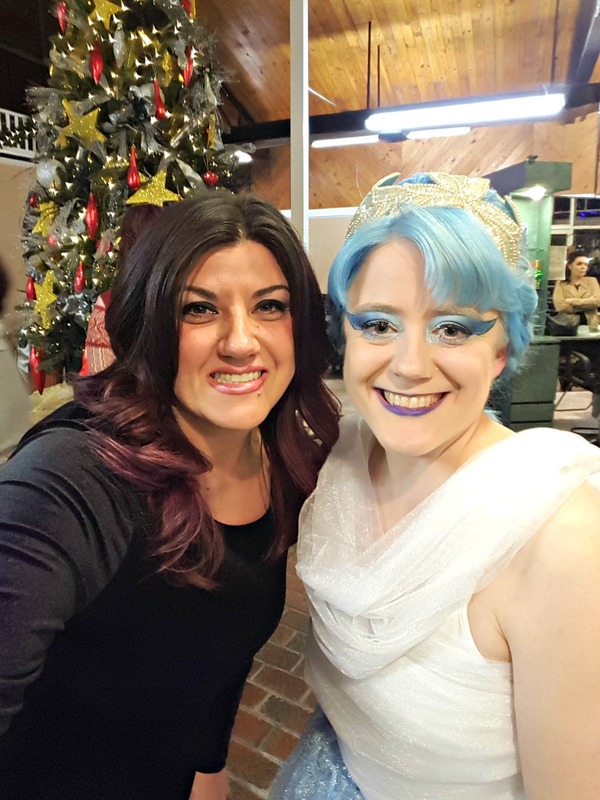 As I sat there being painted up, dressed up, and having about a pound of bobby pins and hair spray put in my hair, I remarked to her that this was not only a fun experience, but would be great fodder for my writing. Every good writer knows how to use Google (some of us a bit too well. Who has ever googled “will a human body fit into the trunk of a Honda Accord?” or “how to make a home-made bomb”)? Anyway. I can now write, with at least a small degree of accuracy, about a character who is a fashion model or an actor. I also have a new and deep appreciation for what those people go through on a daily basis. I’m not complaining – the entire experience was enlightening and fun. But it was amazing how, after three hours of prep with three women working on me, we still needed some last-second finishing touches. I know that professional models and actors go through way more than that every day. I thoroughly enjoyed playing dress-up as a fairy queen for a night. I loved my look, mingling with the guests, and admiring the other stylists’ models. 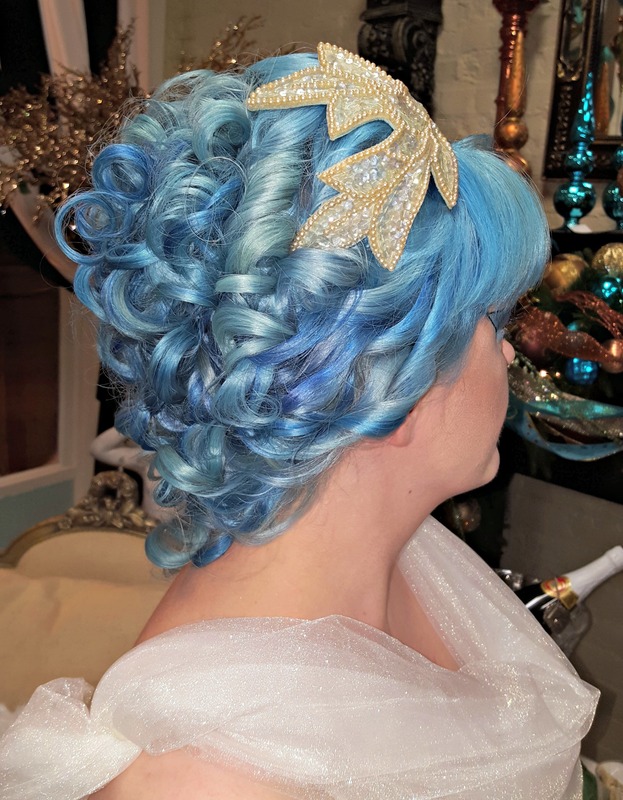 If I ever have another opportunity to dress up as a fairy or be a hair model, I’ll happily do it – even with the hours of sitting motionless in the stylist’s chair. I’m very thankful that I got to participate in such a wonderful event!